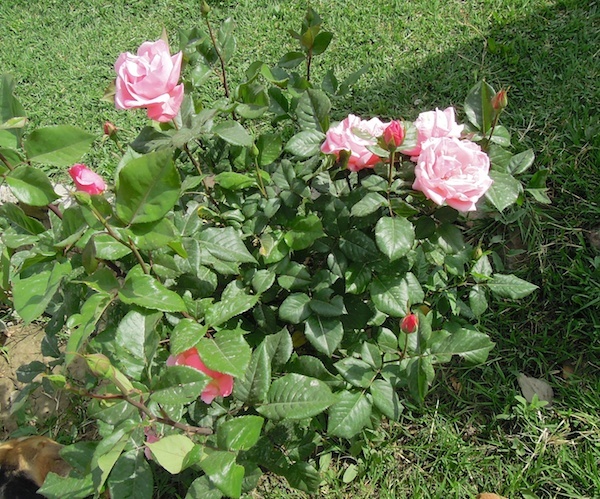 This afternoon I looked out my window and was pleasantly surprised to see one of my rose bushes in full bloom. Now most of my rose bushes are in the stage below and will probably bloom sometime this week. But right now the pink roses are shining forth all by themselves. I was thinking about how we are all in different stages of life. Some of us are in the hibernation stage of winter. Others are growing and our buds are beginning to form. Then there are those who are in full bloom. This stage is fun and we all want to be there. We see our purpose. We see God using us. The tough thing is that we are not all in that stage nor can we stay in that stage forever. It can be hard to see others blooming when we are stuck in one of the other stages. We enjoy the beauty of our friends' blooms. We see God working. We just wish we were there too. The great news is just as those other bushes will bloom in their own time, we will bloom on God's time table. There is a time for everything and a season for activity under the sun. Ecc. 3:1. 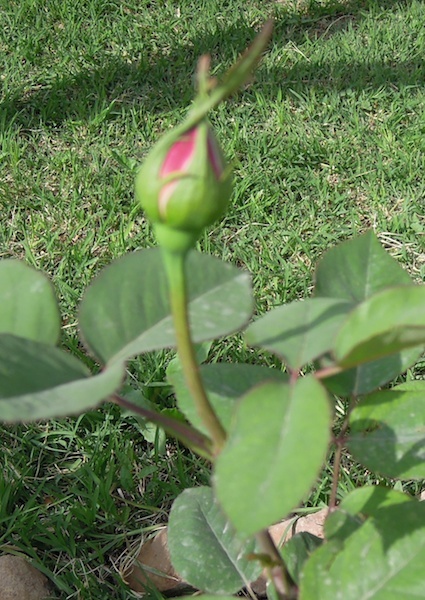 Other Rose Bush posts are here and here.